Glass Gemstone Wand has chips of different gemstones inside a glass wand. The energy from the wand is strong, protective and healing. 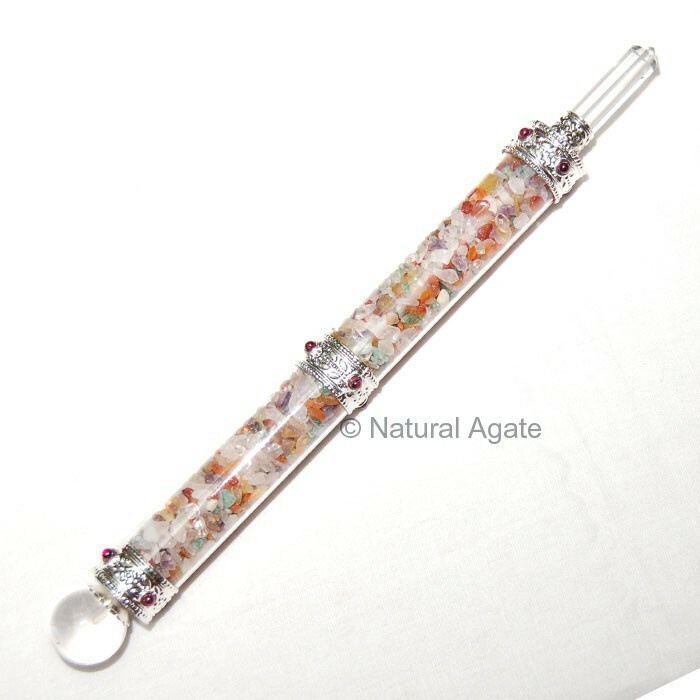 Get this beautiful wand from Natural Agate now.